Day 15 of #junefae is Grampa Goat, who is still up and enjoying life but moves a bit slower these days. Grampa Goat is old now, and his satirical youth is long behind him. Now he mostly takes life easy, feels the sunshine on his back and complains about the kids today. 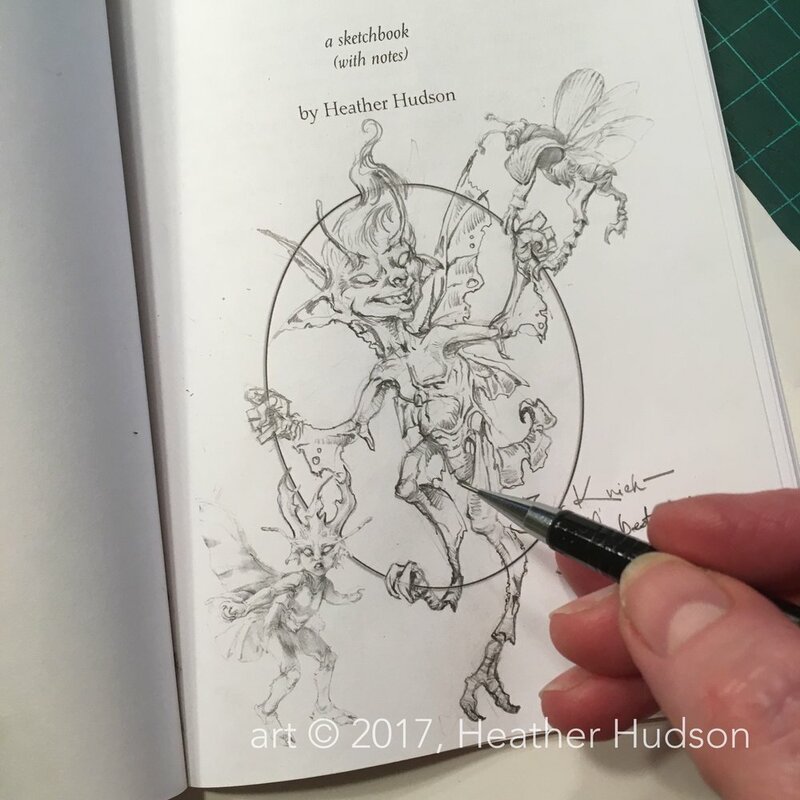 Heather Hudson is a fantasy artist and illustrator whose work has appeared in books, magazines, and tabletop games. Past clients include Wizards of the Coast, AEG and 3dtotal.com. Currently she focuses on personal projects. She likes nature, the Brandywine school of illustration, pulp magazine art, the fiction of H.P.Lovecraft and Frank L. Baum, and cats.